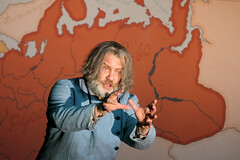 Richard Jones directs a new production of Musorgsky’s magnificent opera on the perils of power. 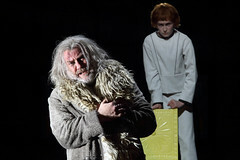 After the deaths of Ivan the Terrible and his son Fyodor, Boris Godunov becomes Regent, as Ivan's surviving son Dmitry, the Tsarevitch, is still a child. When Dmitry dies in mysterious circumstances, politicians urge Boris to become Tsar. Boris reluctantly agrees, hoping that no one will discover the secret that troubles him. During the years that follow, Boris proves himself a good ruler. However, a serious famine provokes Boris's enemies, led by Prince Shuisky, to attempt to undermine his authority. Meanwhile the young monk Grigory, who bears a remarkable resemblance to the deceased Tsarevitch, decides to impersonate Dmitry and seize the throne. With pressure mounting on him from all sides, Boris begins to lose his sanity. To find out more visit the Boris Godunov (2016) production page.